TORONTO, April 17, 2018 – Woodbine’s 2018 Thoroughbred meet kicks off in four days, this Saturday on April 21. Our Opening Day countdown continues, featuring some of our leading jockeys. Patrick Husbands earned the No. 4 spot in the 2017 jockey standings with 127 winning rides and purse earnings of more than $5.4 million. Husbands teamed up with the Mark Casse stable for 59 of those wins and $3 million in purses, making the duo the top jockey-trainer combination of the meet. Twelve of Husbands’ 14 stakes victories were courtesy of Casse trainees, including all five of his graded stakes wins. Husbands had the most success partnering with Enstone for three stakes wins, including the Grade 3 Ontario Colleen and his richest score of the season in the $225,000 Bison City. Other highlights for the reinsman included graded stakes wins with Conquest Panthera (Grade 2 Play the King), Wonder Gadot (Grade 3 Mazarine), Jennifer Lynnette (Grade 3 Royal North) and Leavem in Malibu (Grade 3 Valedictory). 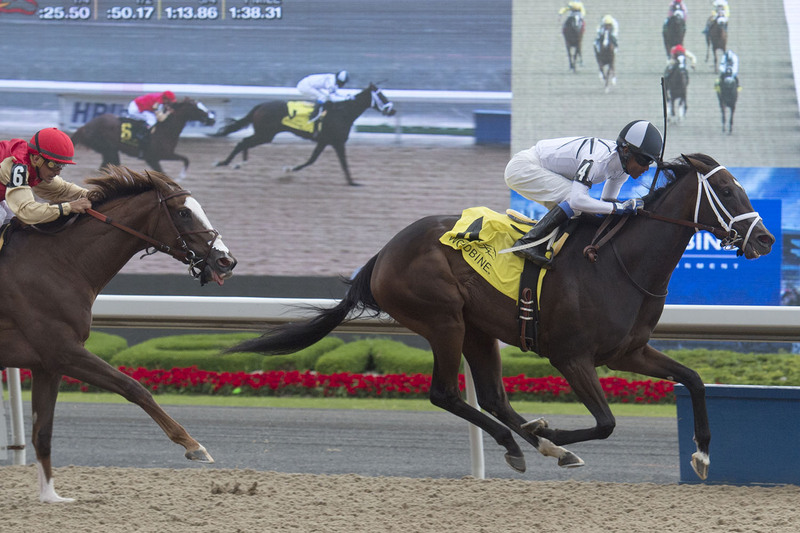 He also scored another big win on Canadian Millions Day with Eskiminzin in the $200,000 Simcoe Stakes for trainer Analisa Delmas. Check out some replays of Husbands’s winning form. This entry was posted in Woodbine Insider and tagged Horse Racing, Opening Day, Patrick Husbands, Woodbine. Bookmark the permalink.